Another great short story anthology from my publisher, Roane Publishing. I’ve read this collection and will post a review later this week. 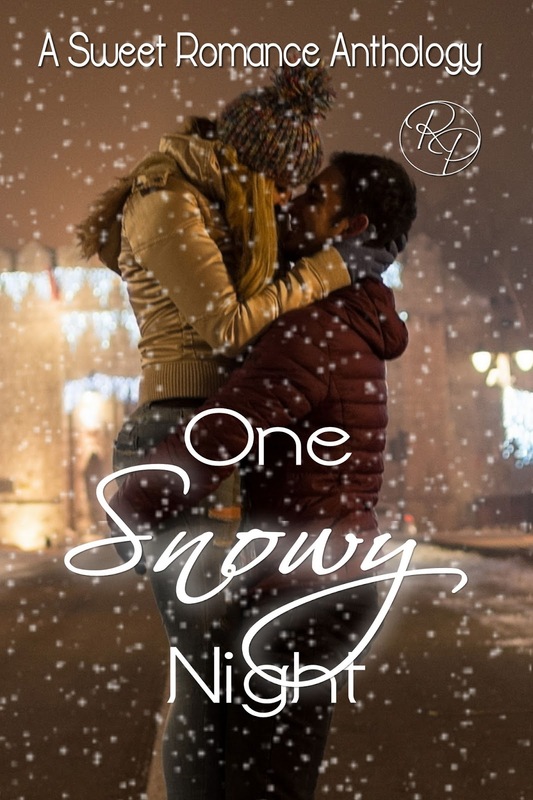 If you’re ready for some sweet, snowy romance, grab your copy today. Check out these blurbs for the FOUR great stories waiting to entertain you on those long winter nights. One snowy night, in an Accident and Emergency ward, a life hangs in the balance, and your best friend is going to tell you everything you don’t know about him, about your life, and what you both might be about to lose. Marlene Martin wants to start over, to escape the sad past she can’t seem to leave behind. Between her marriage falling apart and her brother passing away, she has no reason left to stay in Mistport, New York. Her pending move across the country is exactly what she needs—or so she thinks. Brady Miller doesn’t want to love Marlene, not after their agonizing divorce. His constant travel for work keeps his mind off of where they went wrong. But when he moves back to his small hometown to help with his brother’s business, seeing her again awakens the feelings he had long pushed aside. Each time they bump into each other, his interest in her only deepens. When Marlene wakes up in the hospital after a terrible accident, she turns to the first person who enters her mind: Brady. Her world is shattered when he reveals that they’re divorced and her brother is gone. Brady helps her sort through the pain of memories she’s forgotten while he tries to avoid complicating her life even further. Is Marlene’s memory loss a second chance for their love, or will history repeat itself? Recent college graduate Danielle Haviland had her future planned as a bride, band PR manager, and world traveler. Her dreams are ruined when her fiancée dumps her. On top of her heartbreak, Dani’s demanding mother issues an ultimatum: choose a viable life plan by the New Year, or assume a position picked out for her in the family real estate business. Dani runs away to the beloved town of her childhood summers to heal, refocus, and decide her future. Still reeling from a family tragedy, Quinn Martin has been hoping for a second chance at happiness. His old friend Dani’s return might provide the opportunity he needs. When he offers Dani a job, the two grow closer and see that time hasn’t diminished their bond. Their chemistry sparks and broken hearts begin to heal. Will the plotting of a devious ex separate the couple before they can explore the relationship both desperately crave? Somewhere between falling snowflakes, a chance kiss on a city sidewalk might offer childhood friends a new beginning. When tragedy strikes again, Aunt Evvie once more steps to the rescue. Her sister attempts to poison her daughter even after her own suicide, leaving behind chocolates tainted with arsenic in her daughter’s drawer and urging her to eat them in a note. Calling Molly’s beloved aunt for help, Phillip sees her convince her niece that she is both good and lovable. Evvie surrenders her job to stay home with Molly and in in the process comes to realize her brother-in-law no longer feels like a brother. Phillip convinces Evvie to enter into a psudo-marriage to provide stability for the hurting child. After rejection and betrayal, can Phillip trust romance again? Can the Evvie, the plain, older sister, compete with her beauty-queen sister? Happy Book Birthday to Summer’s Sweet Embrace! Summertime love is always the sweetest. These eight sweet tales of summer romance are the perfect companion for a day at the lake or the beach. Waiting for the right one can be torture. Too bad for Hailey, impatience got the best of her. Finding Mr. Right in time for a destination wedding couldn’t happen fast enough. Instead of listening to reason, or rather her friends, she’s stuck in paradise alone, again. Nothing ruins a tropical paradise faster than catching your date with another woman. Justin’s ready for a change. He’s been caught up in his own success for too long and is looking to finally settle down. Timing is everything and his cousins wedding is the perfect start of his new life. His luck is changing with the captivating mystery woman on the beach. Now all he has to do is find her, before he agrees to his family’s match making plot. Ocean Dust – Laurie TreacyCarly Dawson, 18, is facing her last summer before leaving for college, all alone. Still nursing a broken heart over the loss of her boyfriend, Chase Montgomery, she wants the next two months to be different. A shocking unexpected visitor one night just may offer Carly the excitement she seeks. Her only decision is whether or not to choose what this visitor offers her.The Beach Rose – Christa MacDonaldAnnie Thomas can’t believe her good luck when she inherits the family’s beach house in Oceanside Maine. It’s one of the few places she was truly happy so she sells everything she owns, quits her job, and moves in hoping that her new business, The Beach Rose, will bring in enough money in its first season to let her live up there year round. But on her first day things aren’t as easy or as simple as she’d hoped. To cap it off she discovers that her best new client is actually the boy she had a huge teenage crush on. So much for rekindling a summer romance. For Craig, Annie was everything he wanted when he was a geeky seventeen year-old. Now that he’s pushing forty and the owner of half the real estate in town, he wants another shot at convincing her that he’s everything she needs. He didn’t count on her owning the business he just signed a contract with though. Craig has to find a way to help Annie’s struggling business without her knowing it since anything else would push her further away and that’s the last thing he wants. Together they may get a second chance for a summer romance. A trip to Clearwater Beach was supposed to be a fun escape from the D.C. rat race for Emma and her boyfriend Sam. Until Sam dumped her, leaving her with a ticket she was too cheap not to use and a resolution to enjoy her time in the sun and get over him. A plan that sputters when Sam’s good friend Rick shows up. Rick, who’s never seemed to approve of her for reasons she’s never understood. Rick, who seems to think he has license to bug her just because he bought Sam’s ticket. Rick, who may be a much nicer guy than she ever realized, and who might have a very good reason for not thinking much of her. Can they make peace in the beautiful Florida sun and surf? Peace—or maybe more? What if fate pushed you to make a choice between keeping a promise and revealing a truth? After her grandmother’s death, she opens an unexpected letter containing an unwanted request. Isabel feels obligated to honor her grams final wish. In the process she risks losing the man of her dreams. Six months before their marriage Isabel reveals a time bomb that will forever change their lives. He loves her but the betrayal of not trusting him weighs heavy on his heart. Trust means everything to Seth. One ring, journal, box, spirit, and flower will teach everyone the power of commitment and the importance of honesty. Secrets left buried will always haunt the living, a life lived truthfully leads to happily ever after. Will Isabel and Seth realize this before they are doomed to replay the mistakes of the past? Tired of the vacationers hitting on her, surf shop owner, Skye Taylor quits dating. In walks the cocky, Harley Nicholson from Idaho. She’s not open for another summer fling. Can he convinces her to give love a chance? Harley sees Skye shooting through the Huntington Beach Pier on her surfboard. Mesmerized by the woman’s connection with the wave, he sets out to meet the brazen surfer. He bets his cousin that before he leaves in three weeks, she’ll be his. Skye’s life is kept busy running the Epic Surf Shop and training for annual surfing contest. The handsome, buff Idahoan interests her, but she doesn’t want another disastrous summer fling. Harley charms her into giving him a surfing lesson, woos her with moonlight strolls, and coaxes her with sweet gestures. Skye discovers Harley’s betrayal. She refuses to see him or hear his explanation. Miserable, Harley must do something monumental to win her back. Will Skye ever forgive Harley? Tracey Thompson isn’t like most twenty-year-olds. She’s looking forward to settling down and marrying her soul mate, Noah Martin. Even though their love bloomed when they were just little kids, they never doubted it and never looked back. When a tragic accident separates Tracey from Noah, she struggles to go on without him. As the days wear on, she becomes aware of a chance for them to be together once again. All she needs to do is understand what tore them apart in the first place. But, overcoming this is harder than it seems. Will she be strong enough to find her way back to him? Executive Secretary, Margaret Simms should have had it all. An apartment on the beach and a job at Reynolds Ad Agency, working for her best friend and business mogul, Garrett Reynolds. A one night stand leads to a pregnancy and a re-evaluation of her life goals. In reality, Margaret’s always hated her office job and culinary school is her life dream. But that too is ripped away from her when Garrett, her best friend and father of her child, develops cancer. Obligation forces her back to the work she hates. When office espionage threatens her life, Margaret finds she must make a choice. Stand up for what she truly believes in or lose all she’s ever wanted. A paperback copy of Summer’s’ Sweet Embrace and a $10 Amazon Gift Card! Justin’s ready for a change. He’s been caught up in his own success for too long and is looking to finally settle down. Timing is everything and his cousin’s wedding is the perfect start of his new life. His luck is changing with the captivating mystery woman on the beach. Now all he has to do is find her, before he agrees to his family’s match making plot. Carly Dawson, 18, is facing her last summer before leaving for college, all alone. Still nursing a broken heart over the loss of her boyfriend, Chase Montgomery, she wants the next two months to be different. A shocking unexpected visitor one night just may offer Carly the excitement she seeks. Her only decision is whether or not to choose what this visitor offers her. Annie Thomas can’t believe her good luck when she inherits the family’s beach house in Oceanside Maine. It’s one of the few places she was truly happy so she sells everything she owns, quits her job, and moves in hoping that her new business, The Beach Rose, will bring in enough money in its first season to let her live there year-round. But on her first day things aren’t as easy or as simple as she’d hoped. To cap it off she discovers that her best new client is actually her teenage crush. So much for rekindling a summer romance. Skye’s life is kept busy running the Epic Surf Shop and training for annual surfing contest. The handsome, buff Idahoan interests her, but she doesn’t want another disastrous summer fling. Harley charms her into giving him a surfing lesson, woos her with moonlight strolls, and coaxes her with sweet gestures. Skye discovers Harley’s betrayal. She refuses to see him or hear his explanation. Harley must do something monumental to win her back. Will Skye ever forgive Harley? Executive Secretary Margaret Simms should have had it all. An apartment on the beach and a job at Reynolds Ad Agency, working for her best friend and business mogul Garrett Reynolds. Get ready for summer romance. Summer’s Sweet Embrace available at your favorite retailers on August 19, 2015.